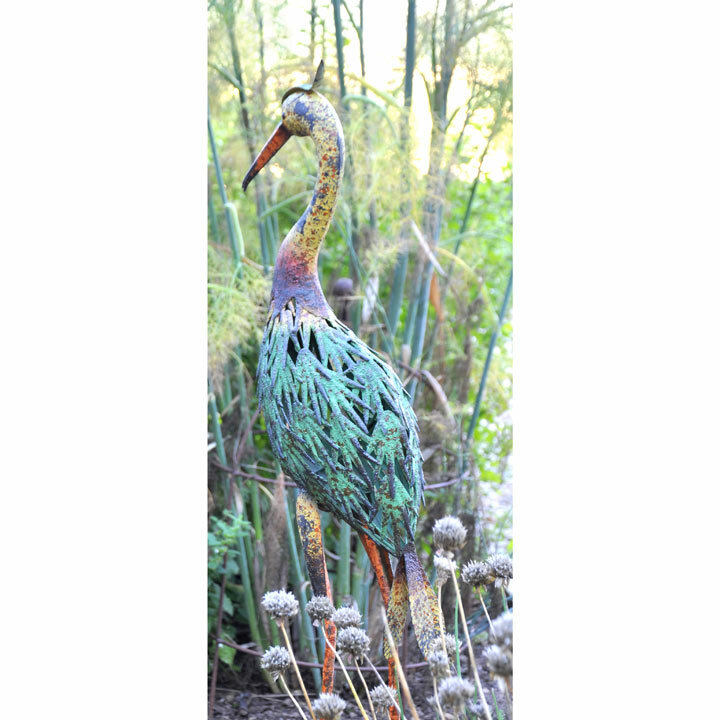 This charming decorative sculpture is a wonderful choice of gift that will brighten any garden, patio or conservatory with a burst of colour. Made from high-quality sheet steel and featuring an antique hand-painted finish, it is durable, long-lasting as well as colourful and a bit of fun! Great for garden lovers and bird lovers alike! 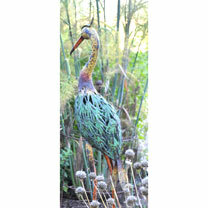 Yellow-Necked Stork 22 x 17 x 98cm.